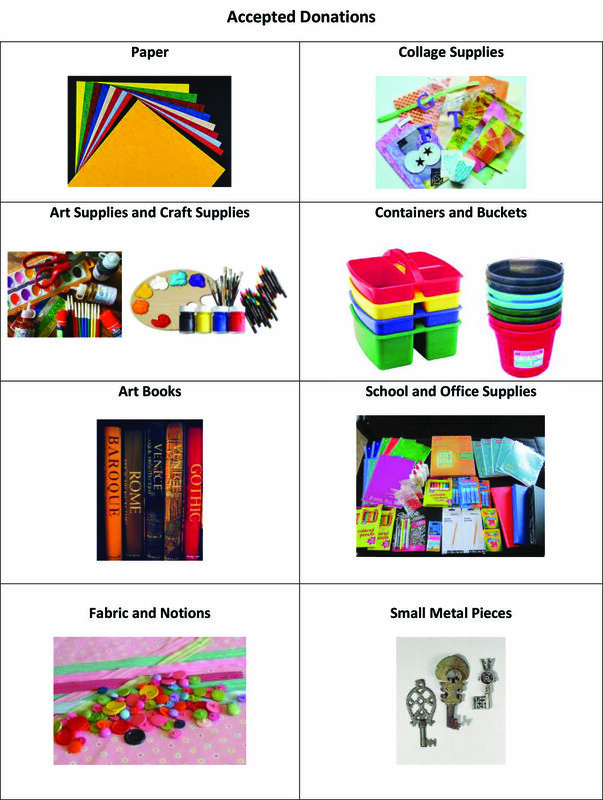 Creative Clay is proud to offer our new art supply repurpose store to the community. The store was created after a feasibility study and business plan by the Tampa Connection Class of 2017. The goal of the store is to create a social entrepreneurial revenue stream, to become an on the job training site for people with disabilities, and to give an extra purpose to the many donations of supplies Creative Clay lovingly receives from the Tampa Bay community. Creative Clay is forever grateful to the Tampa Connection Class of 2017 for conducting the feasibility study and writing the business plan for our thrift store! Special thanks to Bianca Mieses, Ali Smith and Cristina Howell for taking an entire Sunday to volunteer to set our store up for business! Thanks to the following for writing our business plan: Bianca, Ali, Cristina, Sterling Birdson, Joshua Casselman, Tom Curran, Cori Godeke, Amy Harris, Logan Kanai, Neil Khant, Jordan Maniscalco, Nick Ptacek, and Julie Redcay.